He Has What?! | Half Heart. Whole Life. 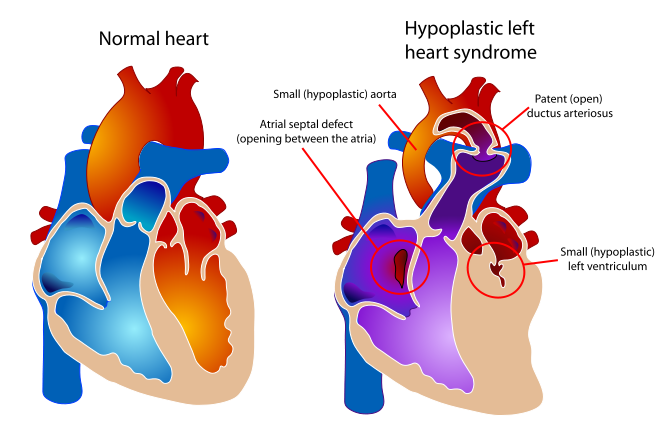 Posted on October 11, 2013, in diagnosis and tagged cardiology, CHD, CVICU, doctors, HLHS, hospital, hypoplastic left heart syndrome, NICU, pregnancy, ultrasound. Bookmark the permalink. 3 Comments. It’s probably even worse when it’s you baby that’s got the problem rather than yourself. Doctors and other “health professionals” can be callous. I don’t know whether or not they really don’t feel the pain … or they are protecting themselves from feeling it. Either way, it’s certainly hard on US. Yes, it’s definitely more difficult since it was our baby with the diagnosis. Your immediate thought is that they did nothing to deserve it. I will say that most of the doctors we’ve dealt with have been very nice. I just think this particular doctor could’ve benefitted from some training on how to break the news to people in a compassionate manner.